Left: Piet and Pattie at Café Rex. Right: the Turkish bar Cascade. 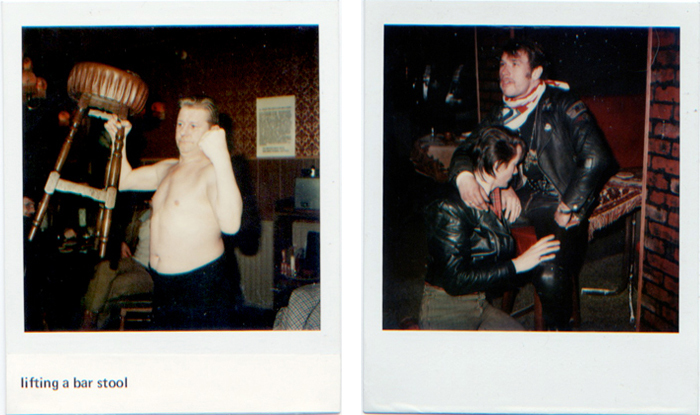 A one-of-a-kind collection of Polaroid portraits, taken in the bars and cafes of Amsterdam by Bettie Ringma and Marc H. Miller, has long been featured on 98Bowery.com. This week, the photographs have received much wider exposure, on media conglomerate Vice’s European websites. Originally written in Dutch for Vice Netherlands, the article soon went viral, with translated versions appearing on Vice affiliates in Italy, Germany and the United Kingdom. As artists active in downtown New York in the 1970s, Miller and Ringma shared with friends in Collaborative Projects, Inc. (COLAB) the goal of creating a democratic art accessible to all. 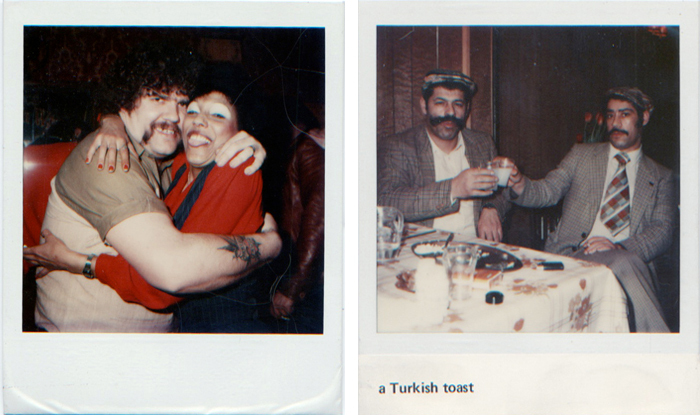 Faced with the need to make money after moving to Ringma’s native Holland, the two artists started taking Polaroids in Amsterdam’s bars, which they sold for 6 guilders each (approx. $3). In an era before digital cameras, they were an instant success, and became a fixture of the city’s nightlife. The pictures have a remarkable intimacy, since the subjects were taking and buying the pictures for themselves. When the Polaroid Corporation learned about Marc and Bettie, they provided film for five hundred second takes, to be used for an exhibition. A film was also made of the photographers at work. Covering the Red Light District, Turkish cafés, the transvestite club Madam Arthur’s, and traditional Dutch accordion bars, the “Amsterdam Privé” collection provides a remarkable record of the city’s nightlife circa 1980. Read the English version of the Vice article here. Left: Ko at Café de Zon. Right: German bikers at Café Festival.